Hello, our beautiful PinKixxes! How’s your holiday shopping going? Holidays are one of the perfect times to get something special for special someone. A handmade or one of a kind gift for someone special carry beautiful spirits of sharing and loving. 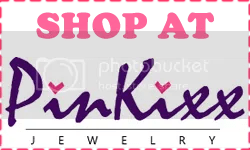 We PinKixx always try hard to help and make more enjoyable shopping experience for you. So to make this joyful holiday season even more enjoyable, we’re sharing our love with a best deal we can possibly offer! Please add the coupon code below when you check out and receive 30% off on all items. This special offer ends on 12/12/2016, pacific time. Hurry and get to PinKixx shop today before your favorite gets sold out. Have fun shopping! Did you hear about the 4mm tiny gold bead that could be the world’s oldest gold artifact discovered a week ago? I don’t know about you, but it makes metal lovers like us excited and curious. Why do you wear jewelry? What does jewelry mean to you? Jewels were always part of human culture. Even from the times when humans first started using clothes and tools some 100.000 years ago, jewels were produced from any kind of materials that were available – stones, animal skins, feathers, plants, bones, shells, wood, and natural made semi-precious materials. As the time went on, advancing technology enabled artisans to start taming metals and precious gems into works of art that influenced entire cultures and many modern jewelry styles. However, no matter how long it’s been, the purpose of wearing jewelry always remained the same – they enabled wearer to express himself/herself non-verbally and showcase wealth, rank, political and religious affiliation, or affections toward someone. No matter how old or young you are, jewelry has been to express yourself, and show who you are and your affection toward someone. That’s why we wear jewelry. Jewelry is your statement to the world without words from your mouth. Showing is much more powerful than talking about it. What do you wear to express yourself today? What does your jewelry show to people now? Is that power? Is that your delicacy or prettiness? Is that your determination? Remember you’re showing who you are everyday. Make sure people get it. Make sure to wear that represents you. Even if it’s just one tiny piece around your neck, or your wrist, or on your earlobe. Make sure you show who you are today, and be confident as always! It’s hot. It’s summer. I want to get out of here! As you can tell from my recent posts, summer for me is ‘get-away’ ‘vacation’ and ‘recharging’ time. I just feel like get out of the city and enjoy the sun and outdoor as much as I can and explore the unknown. But, at least in the weekend, packing up with some DIY favorite drinks and have a little party with close friends around a pool seem like a natural thing to do. Here are some cool drinks you can enjoy anywhere this summer! Spicy ginger beer shines in this grown-up slush. Add the lime juice, agave, mint leaves, lime zest, and rum to a blender. Blend until smooth. Fill the blender to top with ice and blend until slushy. Pour into glasses, garnishing each with a sprig of mint and a lime slice. A mixture of quava juice and orange juice topped with lime soda. Awesome taste! Looks like watermelon is on demand this summer. Put watermelon, moscato, rum, lime juice and zest, and sugar in a blender and work it until smooth. Refrigerate until chilled. Garnish glasses with lime slices and serve. Try these refreshing summer drinks this weekend! And let us know what your favorite summer drink is in the comment!